Welcome to our website. I’d like to thank you for visiting our site and learning more about our company. 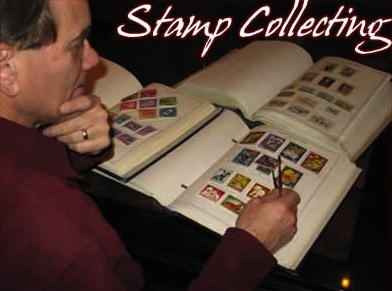 For over fifty years, we have been serving the needs of stamp collectors. Our website has been designed to provide you as much about our company and the services we provide as possible. Recently, we also began a blog about stamps of Eastern Europe, so be sure to take a look at that. Also, our online stamp store has a great selection of our stock available right through your computer. We stock stamps from over thirty countries throughout Eastern Europe and Asia. We also have a wide range of other of philatelic items like supplies, catalogs and albums available to our customers, which are all illustrated in our store. With stock of over a million stamps it’s hard to keep them all online, so do let us know if you can’t find a stamp on your want list. Enjoy the blog & store and tell us what you think. Throughout our growth, we continue to serve the stamp community with the same passion for collecting that my father had when he began the business. My father would have been very surprised and quite proud to see what his company has amounted to now. Again, thank you for visiting and we look forward to working with you. Hungaria Stamp Exchange (HSE) began in Hungary in the 1940’s by Béla “Bill” Bauer. The company was started not even as a business, but a trade with friends. Béla kept a very close relationship with this small circle of friends, some of whom are still our customers. When Béla and his wife, Rita, emigrated to the United States during World War II, he put the business on hold until they got settled. He then restarted the business in the 1950’s with a small core group of customers. He serviced these customers until he passed it on to his son (Alan) in 1982. The company served the same small group of customers and friends until 2004, when Alan created a web presence for the company, with the assistance of his son, Andrew. The website www.hungarianstamps.com was born. Following that the business expanded exponentially. Creating the HSE store with inventories of stamps of all of the Eastern European countries allowed the business to expand internationally and process orders for customers in any country, 24 hours a day. Today we have over 400 active customers on all continents and many countries worldwide, including the United States, Hungary, Canada, Japan, China, United Kingdom, Australia, Israel, Brazil, Romania and many more. Throughout this growth, we have continued to maintain the highest level of customer service to our loyal customers throughout the world. 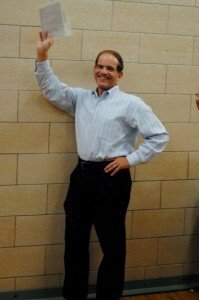 Alan is a first generation American-born of Hungarian parents who emigrated from Hungary just before World War II. He lived his childhood and completed his education in central New York State. Later, he and his wife moved to New England to start their business careers and have been there ever since. They have two children, both of whom are actively involved in the stamp business. You can read Alan’s story on our blog.